One of the most popular ornamental plants is Split-Leaf Philodendron. The plant that has the botanical name “Philodendron bipinnatifidum” is a house-plant from the Araceae family. The presence of this plant in your home also gives its own beauty. Among the plants that have a big influence on the beauty of your home is this plant (Split-Leaf Philodendron). It is very easy to grow in the room. Although it is a plant that likes moisture, but in the room can also be planted. If necessary, you can use a moisturizer. 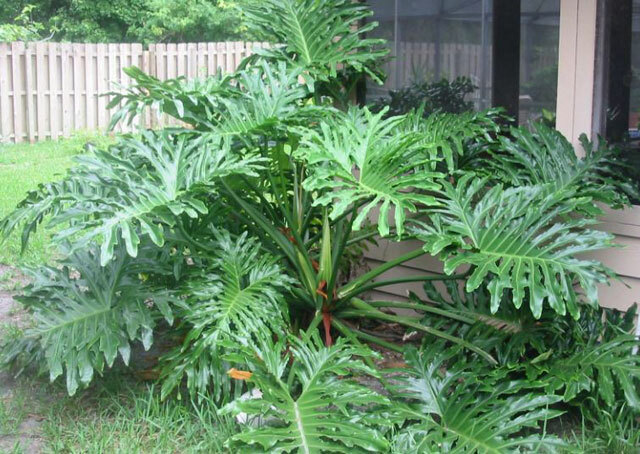 This philodendron is a bush plant that has an erect stem and is tilted with growth and age. The large leaves often catch a lot of dust, you can clean using a cloth. Some types of Split-Leaf Philodendron have wavy leaf margins. One way that is widely used for the cultivation of this plant is a trellis, try to see the plant will climb a trellis. The shape of the leaf is unique, when it is young it is shiny, shaped like a symbol. In early summer or in spring, use another pot that has a drainage hole to prevent root rot. If the Split-Leaf Philodendron that you plant is enlarged, now is the time for you to use a heavier container so it doesn’t fall easily. Usually, the roots also grow above the ground and float out of the container, if you see this put back into the container. If you want to buy this plant, you must know the names. 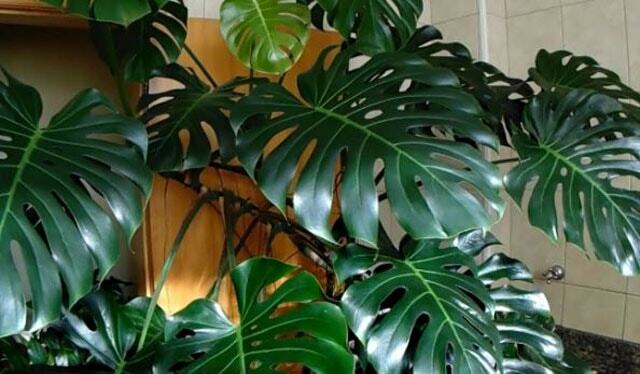 Some sellers do not use the name “Split-Leaf Philodendron”, but they call it “P. selloum”. It has cut leaves and wavy lobes. If you like other plants that have similarities, maybe you can try “Swiss Cheese”, this is not Split-Leaf Philodendron at all but similar. He is a family of Monstera deliciosa. Philodendron can grow to a height of up to 4 feet or about 1.2 meters in the room. This plant is not planted in full sun, but it likes medium lighting or indirect sunlight. If you are exposed to direct sunlight, the Philodendron leaves will appear brown spots. Watering: You do not have to water every day or every week because what is important is to keep the soil moist. Keep soil moisture from spring to summer. If you see a yellow leaf, this indicates that it is excess water. Humidity: This is a plant that lives in a forest that is always moist. If your house is dry, use a room moisturizer or spray mist into the plant once a day. While the temperature for development is between 60-80 ° F / 16-27 ° C.
Good soil for planting media is a mixture of gum and soil. Fertilization also needs to support growth. Feed your plants every month in spring to autumn. Use liquid fertilizer diluted by half. Propagation: To multiply Split-Leaf Philodendron is very easy. Cut the roots and divide them into sections, using a saw or a serrated knife to facilitate cutting the roots.